What would happen if your favorite video game characters decided to pop by your office for some coffee and office hi-jinx? 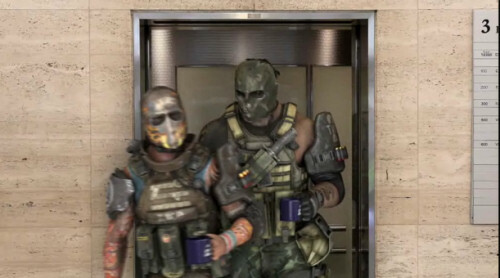 It would probably look something like the video of Salem and Rios, the two lead characters from the co-op game Army of Two, who drop by the EA Montreal Studio offices. The characters look frighteningly like their digital counter-parts, and take part in some pool, video game playing, coffee drinking and of course - photocopying their rear ends. And don't forget the Powerpoint presentations.